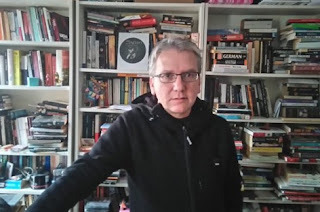 On the night I heard that the brilliant Mark Fisher (author of Capitalist Realism and the wonderful Ghosts Of My Life), had suddenly died I stayed up late and wrote this piece on his legacy. 3:am magazine published it the very next day here. It's a piece that takes in the effects of Donald Trump, Jeremy Hunt's destruction of the NHS, and the Iraq war using the lens of Capitalist Realism that Fisher offered us. It also looks at what we can do about the current situation that neo-liberalism put us in. There may be plenty to resist, but the next generation that will be in power gives me lots to be positive about.